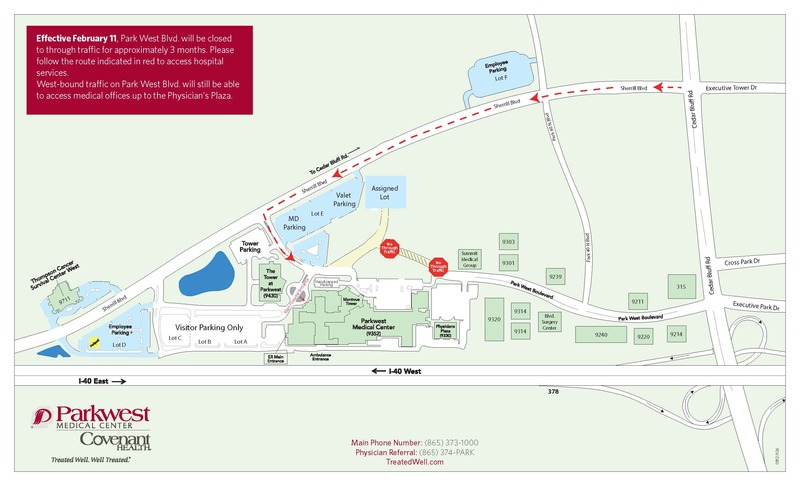 Traffic will be able to travel west-bound to the Physician’s Plaza before encountering the road closure. All other traffic will be required to travel Sherrill Blvd. for campus access. To view this map as a .pdf file click here. For information about Parkwest’s building project visit www.TreatedWell.com/building.